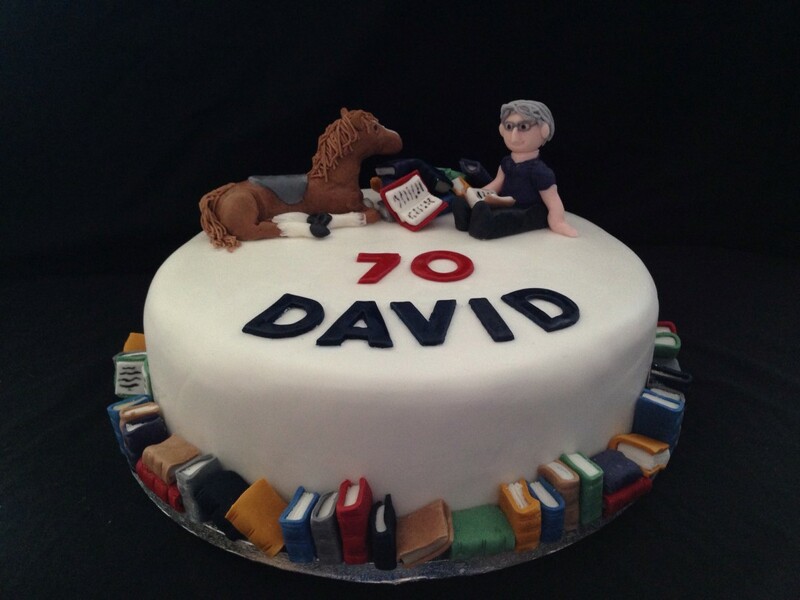 This special 70th cake was for David, a man who loves horse riding and has a real passion for reading. decorated with over 100 edible books in different colours plus a horse with a saddle & the birthday boy himself relaxing & having a read. The cake was a rich fruit sponge soaked in port.